Dr. Randy Stein holds a Ph. D. in Social Psychology from Yale University, and he joins Cal Poly Pomona as an Assistant Professor of Marketing. His research interests include looking at how consumer behavior is automatically affected by the social influence of others, the effects of chain branding on consumer choice, and how emotions shape decisions. 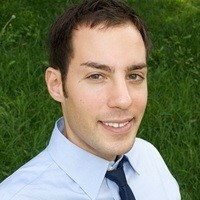 His work has been published in the Journal of Consumer Research and Consciousness and Cognition. Prior to joining the faculty of Cal Poly Pomona, he worked at Lieberman Research Worldwide where he executed advanced analytics on a wide range of studies for several Fortune 500 companies. He is an advisor for Marketing Research Club. Williams, Lawrence E., Randy Stein, and Laura Galguera-Garcia (2014), “Beyond Construal: Specifying the Emotional Consequences of Psychological Distance and Abstract Construal,” Journal of Consumer Research, 40, 1123-1138. Stein, Randy (2013), “The Pull of the Group: Conscious Conflict and the Involuntary Tendency Towards Conformity,” Consciousness and Cognition, 22, 788-794.